I am a very unobservant person. Oftentimes it is several months before I notice a new business or a new landmark. Not this time. I saw Afghani food mentioned on a sign and I was suddenly very aware. As in, checking every other day to see if the place had opened yet. Ali Baba's takes over the small, nondescript place at the corner of 7th & L streets that had formerly been occupied by an Indian restaurant. In its first couple of days I saw it was open and immediately stopped in to try them out. My first visit was for a quick lunch. I would immediately note that you may want to consider take-out if you are crunched for time. Even though it is counter order service, this is still a seated lunch that includes a small salad before your meal arrives. Said salad is a simple tossed green salad with a yogurt based dressing. I have a problem with my eyes being bigger than my stomach, especially when I want to try one of everything. I thought I would solve that problem by ordering two appetizers. I ended up with quite a bit of (lovely) food. My order was for Samosas and for Mantoo. First out was the samosas, meat filled with a side of cilantro chutney. 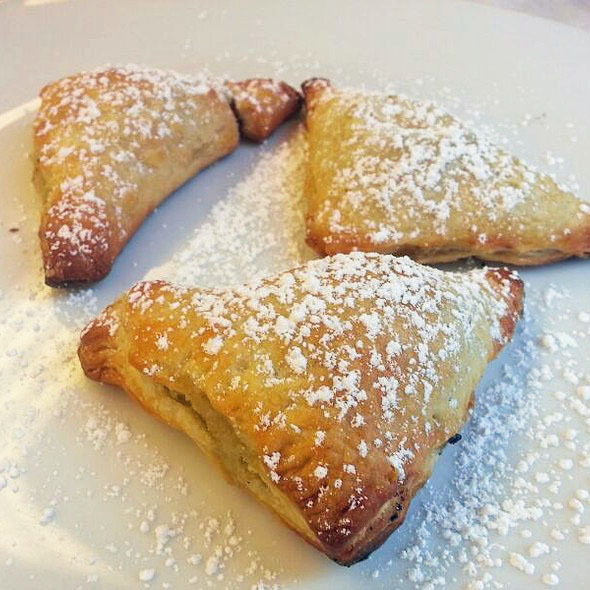 There were three small ones which had a firm, rather than flakey crust. This is the one item that I would like to see improved. I would prefer two larger ones with a different crust. Still, they were a tasty start. I had ordered the Mantoo which is Afghani style raviolis filled with onion and ground lamb, topped with yogurt. 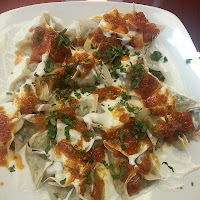 The kitchen got my ordered confused and instead sent out Aushak, same style raviolis, but filled with seasoned leeks. Lucky for me! 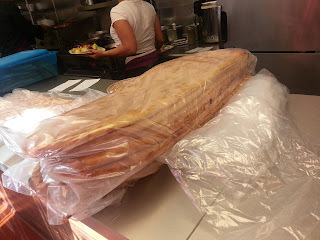 The chef noticed the order and had them bring out my Mantoo, which I got to take home with me for dinner! Both the Mantoo and Aushak use the same delicate wrappers that are pinched closed into little purses (see top picture). They also have the same yogurt and tomato sauces garnished on top. And both are delicious! Not only that, but if this was appetizer size, I'd hate see what entree size is. Actually, though, I think the only difference is that the entree comes with a side of vegetables. Being that I'm a meat eater, I prefer the Mantoo. But put either of those in front of me and I love them both. The location of Ali Baba is not one that one notice without a wary eye. Don't judge a book by its cover. Although the front is very small with three small window tables, there is a back dining room. What is a bit odd is that the kitchen is separated into two parts, making it a bit of an awkward running back and forth between the two sides. What they need is pass through window. The restaurant is owned by two cousins. Obaid Khushiwal manages the front of the house while Basir Aziz is the master of the kitchen. 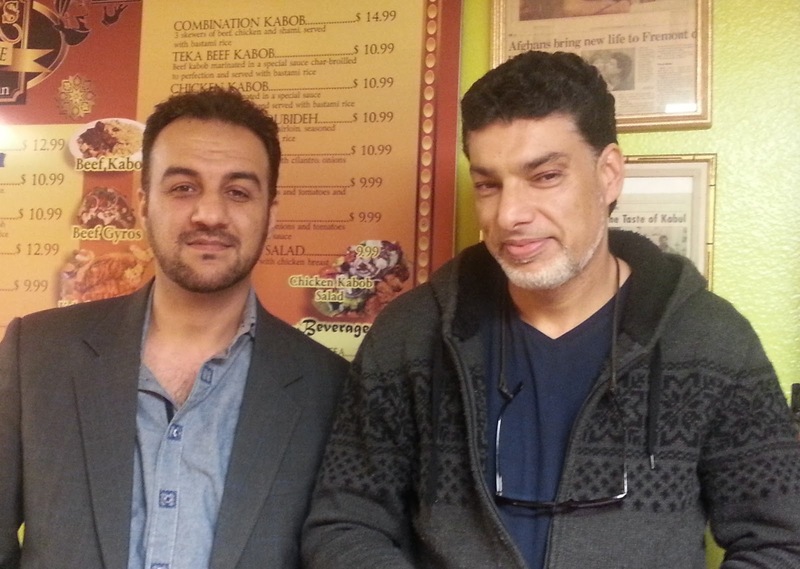 Both men are very friendly and were happy to talk about their place and Basir's culinary past. 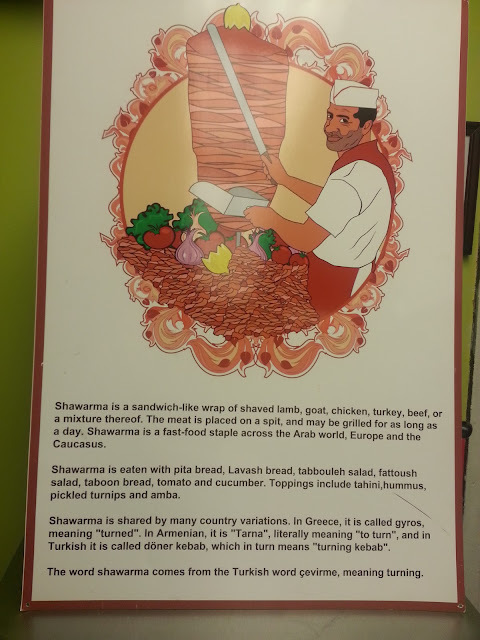 I knew that this place was special when I tasted the food, but the thought was cemented when I asked about details of some menu items, such as, he used to bake all his own Afghani bread but now buys it from an Afghani bakery located in West Sacramento. But he still makes his own cheese, more on this later. Turns out Basir has had several restaurants over the years. 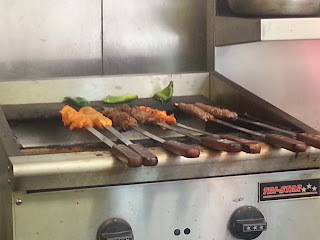 Kabul Kabob, on J Street, was his creation before he sold it around 2005. That location serves lunch and dinner and a lunch buffet It sounded like he got tired of cranking out the endless buffet items. He then opened a place in Folsom on East Bidwell, also very popular. He sold that one after an unfortunate slip on a tomato injured his back. Being on your feet all day cooking is not fun with a bad back and as we chatted, Basir is sitting in a chair. I had come in for lunch earlier in the day. This time I wanted to taste their version of kufta - ground beef mixed with spices and then formed into meatballs or onto skewers. 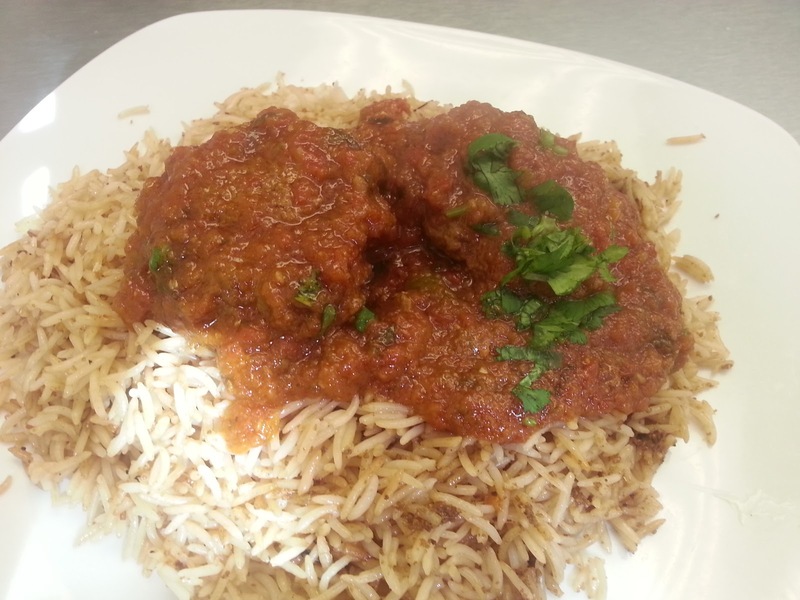 This version was meatballs and was served over a seasoned basmati rice with the flavorful tomato sauce. The two meatballs were hefty but tender and the delicate rice was a nice accompaniment. I chose the Rasmalayee for dessert. It's described as an Afghani cheesecake served with a cardamom sweetened cream. For those with expectations of New York cheesecake, this is not for you. The cheese is very firm and has a grittier texture. I asked Basir what type of cheese he used and he told me he makes it himself with a mixture of whole, 2%, and half and half. 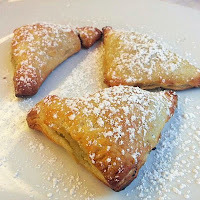 If you can adjust to the texture, than you can enjoy it as the sweetened cream makes it quite refreshing, although a bit rich. 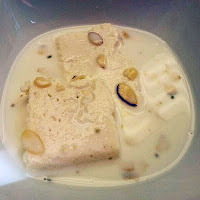 An easier dessert for Westerners may be the Firni, which is a rice pudding with the cardamom sweetened cream. Against a wall I notice an unplugged rotisserie, the vertical type used for mounting the rotating mound of meat used for gyros. In front is this sign explaining the different names for schwarma - gyro, doner, kabob. Basir says that he'll get that going soon. I'll be curious to see how close it comes to the ones I grew up with in Saudi Arabia. I'm thrilled to see Ali Baba's open and nearby for me to walk to for lunch. I'm sure I'll be visiting Basir and Obaid on a regular basis.